Can you say that you have ever had to contemplate if your child should spend the night at a cemetery all alone or should she be with you every day, in an urn. What would she want? I regret daily having my child burned into ashes and placed into an urn. She isn’t a damn genie. I don’t even know how to open the urn. I do know that she was scared of fire, but she also hated to be cold. She didn’t like to be away from me and I hate being away from her. What do you do with your child’s remains? How could you even have to consider this situation? That’s where I am. It’s been one year and 5 months now since my child’s beautiful soul left her body. She isn’t in the flesh any longer. She is not in her urn, nor the ground. She is soul. Soul is energy, life’s energy that carried us before, carries us now, and carries us forever. 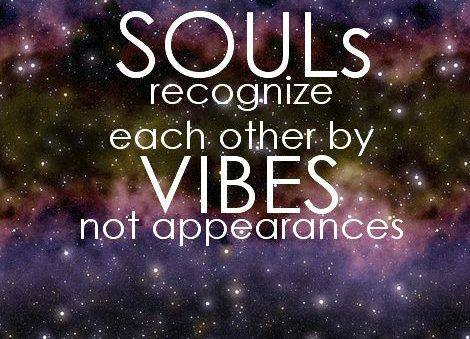 Soul is beautiful conscious growing energy. Soul is eternal. I am filling my days with what can be now instead of what could have been. I know I will have another day of regret but that is then and this is now. I must live in the now. So should you. Since Rylie left for heaven, I find myself in situations quite frequently where I’m asked how many children I have. This also brings up memories of the day she left. I have felt my stomach drop because I was not certain how to explain my Rylie’s age now. I still celebrate her birthday. People wouldn’t understand and often judge when you tell them you have a gift and can see your child in spirit. Some probably believe I’ve taken a ride on the insanity train and forgot to get off. Unless you’re in my shoes and see what I see, hear what I hear, and feel what I feel you would not understand. We all have our own beliefs. It’s up to you to believe or to judge. Whichever you may choose it doesn’t change what I have learned about the other side. My gifts do not affect that feeling of sheer panic and anxiety when asked about our children now that one has left for her journey on the other side. This anxiety could be the trauma attached to her physical death. I used to ask myself, how old is Rylie now? Do children continue to age and grow in heaven? Am I still her mom? Who takes care of her now? My body has shaken all over and fought back many tears when someone asks me about my children. Do I say I have 2 children now or one and a bonus daughter or two and one in heaven? I don’t have Rylie here anymore. God took total custody of her. Don’t get me wrong, I’m not blaming God. I used to. I’ve realized that’s how life goes. We all have a time when our physical bodies cease to work any longer and only God knows the timeframes. Then again, did Rylie overturn God’s timing when she took her own life? How am I to explain this to people I have just met without sharing too much or seeming insane. No one wants to be judged immediately, even psychics. We know we sound insane…but you can’t explain what others don’t see, hear, feel, smell, and sense without sounding like you just jumped off the coo coo train. To which I now answer: Rylie just turned 14, she is a fantastic artist, dancer, singer, and writer. She is also a gymnast and she loves to go to the island to draw. Sometimes I add that she lives in heaven now. Depends on my mood, I guess. One thing I never say is that she is dead or gone. She is neither. I talk of her only in the present. How do I know, well you will learn through my blog the many experiences I have had with my daughter and others who reside in heaven. It’s time that grieving parents take back the rights to their children by knowing they still age, they are cared for by who ever has been assigned to care for them, and they continue to do what they love. They are consciousness, energy, and love. Speak of them often! Speak of them in the present and do not put your children in the past! They are still our babies and they are never forever a specific age. As hard as it is and as depressing as it can be to not have my child physically, I know that she is well taken care of. She is happy. She is loved beyond measure both here and in heaven. She is helpful to me here on Earth. Most importantly, she is working for God. The incredible emptiness of losing a child is beyond any comparible measurement known to man. Only a grieving parent truly knows this type of void. Recently, there was a photo which quickly spread through the internet of metal human statue presenting a hole carved out of the chest. The hole was so large it lacked any type of proportions other than shoulders and arms a head and waist. The head hung very low, and you could tell the energy from the living parent represented by this sculpture was, well .. lifeless. This is grief at its worst. When I viewed the sculpture I had no idea what it represented and didn’t read the title immediately, but I pointed to it and told my husband; “This is me.” A lifeless parent with a hole no one can fill. At first, I was so angry with God for taking my child! I cursed him as I fell to the ground in agony many times. “How could you take my only daughter? !” “Why do you let murderers live and my beautiful baby leave?” I compared how some live after drowning, some fail suicide attempts, and some even survive hanging themselves. But not my Rylie. He took her away. I punished myself because I thought the Universe, God, whatever existed was ultimately punishing me for anything I have ever done. Why else would I be forced to live this hell? I went a while before hearing an answer to this. It was not God who answered me. It was Rylie. I will share more about this, but first I would like to explain something to grieving parents and just those who grieve for a loved one of any relationship. We haven’t lost anyone! They still exist in pure love and energy form. This is the same form in which we feel hope and love from Divine Source. I like to call this energy source God, but you are free to call this source anything you wish. I have seen and heard from Rylie many times. I know where she is, who she is with, and what she is doing. All any mom could ask for when checking up on our independent children. Right? Rylie was so incredibly independent. She still is. I know my child is incredibly safe right now. She is loved beyond measure. So is your child, parent, friend, partner, and so on. Am I a preacher, no. Am I religious, no. I grew up in church, but we all have our preferences. I am spiritual. I have several gifts and I can see the other side plainly. However, I still grieve. I still long for my daughter’s physical presence and I ask her daily to come back as I cry myself to sleep. She is and always will be my Sunshine. My Star. My life. Now, to be able to live again under these circumstances. . It’s possible. Thanks for getting to know me! I’m so happy that you are here along with me during this journey we share! If you have a loved one who has left for heaven and you are grieving, I would love to help you through it! If your child is being bullied, and you need help please know you aren’t alone. Reach out! I would love to help. My writings are personal experiences that have led me to where I am today. I share grief, inspiration, and wonderments that I have seen, felt, and heard from the other side along with bully prevention which is near and dear to my heart. You will quickly learn why. I hope you are ready! This is how it all started. …..